You fly in actual instrument weather conditions and make enough approaches to keep "current," take your biennial flight review from a good instructor, know the "Normal" and "Emergency" procedure sections of your Pilot's Operating Handbook, and feel you are qualified to cope with any emergency. Are you? Maybe not. The NTSB has reported Air Pump/System failure as a factor in an average of two accidents per year over the past eight years. About one-half of the reported cases involved other overriding factors such as loss of control with a back-up electrical gyro available, non-instrument rated pilots flying in instrument weather conditions, and departing with pneumatic systems known to be inoperative. The most disturbing factor is the remaining half—an average of about one accident per year—occurred to instrument rated pilots who recognized the pneumatic system failure, flew on partial panel in instrument weather conditions for 30 to 45 minutes, and then lost control during high task loads, such as during an instrument approach. Another common denominator was that all aircraft involved were high performance, retractable gear, single engine aircraft. The lessons are clear. The first is that loss of a pneumatic system in actual instrument conditions, without a back-up system, is an emergency that may become life-threatening unless the airplane can be flown by partial panel into visual weather conditions. This may not be possible either due to weather conditions or lack of pilot practice with partial panel flying. Normal instrument flight relies in part on three gyroscope instruments: an attitude indicator (artificial horizon), a heading indicator (directional gyro, or "D.G.") and a turn and slip indicator ("needle and ball," or "turn and bank," or "turn coordinator"). These gyrosopic instruments may be powered by pneumatic (vacuum or pressure) or by airplane electrical systems. Which power source is used for which instruments may vary in the same make and model of airplane, depending on use intended at time of manufacture or modifications made after manufacture. The gage on the instrument panel may be marked as either a "suction gage," a "vacuum gage" or a "pressure gage" and indicates in inches of mercury. The correct operating range (around 4.5" to 5.5t HG.) is given in the Handbook for each airplane. Some airplanes also have warning lights when the vacuum or pressure is out of tolerance. A complete pneumatic loss is noticeable immediately on the gage or within minutes by incorrect gyro readings. A slow deterioration may lead to sluggish or incorrect readings which may trap a pilot who is not constantly cross-checking all instruments—including the vacuum or pressure gage. An additional factor involves an initial lack of recognition of the cause of the conflicting instrument indication which develops when one Instrument, usually the attitude indicator, malfunctions. Although possibly proficient in flying "partial panel," many pilots are not trained or skilled in deciding to revert to a "partial panel" scan unless an instructor or safety pilot has forced the scan by covering the attitude indicator. It is important for pilots to scan all instruments whenever conflicting information develops and not attempt to make control inputs on the basis of the attitude indicator alone. Once the all-important first step of recognition of the need for partial panel scan is accepted, it is also helpful to remove the malfunctioning instrument from the scan, usually by covering it with a disk or piece of paper. Airplanes can be flown safely with loss of one or more gyroscopic instruments. 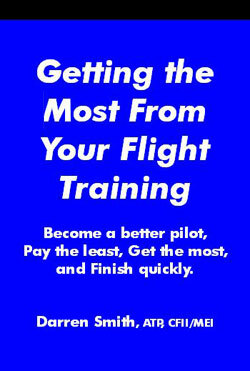 Every instrument rated pilot demonstrated the ability to do so prior to receiving the rating. The problem is that many never practice the skill and only a few have ever practiced in turbulence as it seems an unlikely need in routine operations. If you are not instrument rated and inadvertently encounter instrument weather, the 180° turn is usually the best course of action. If your pneumatic driven gyro instruments fail, it is still possible to make a 180° turn by using the turn and bank (or turn coordinator), magnetic compass and clock. Likewise a descent through clouds to VFR conditions can be made using the turn indicating instrument. These procedures may be tailored to each airplane type and model and should be demonstrated by and practiced with an instructor. It may be too late to learn them when faced with actual need. Avoid conditions that risk encountering instrument weather. If you are instrument rated and gyro instruments fail or mislead, do not be afraid to ask for help. ATC personnel know where to find better weather and are able to give "no gyro" heading directions. The whole system—radar, weather reports, communication, and personnel—is instantly available to assist you. Do not try to be a hero and continue on bravely as if loss of pneumatic power was no big deal. It can be a serious emergency unless you have maintained high proficiency in partial panel flying. Also, cover the dead or lying instruments. Most partial panel practice is done with covered instruments, but in real cases the artificial horizon will be sagging and giving erroneous information that your instincts want to accept as correct. Autopilots using these instruments as sensors must be turned off immediately. Finally, if your airplane has no back-up capability be cautious in the type of IFR you fly. Solid IFR from takeoff to touchdown can be very difficult on partial panel. If your airplane does not have a back-up, or stand-by system, and if you use your airplane for IFR flight, consider a back-up or stand-by pneumatic system. Several manufacturers offer a variety of alternate systems that will supply vacuum or pressure if the engine driven pump fails. While the chances of pneumatic system—or pneumatic driven instrument— failure while in actual IFR conditions has been demonstrated to be small, those same statistics also demonstrated that the cost of a stand-by system is far less than the too often fatal results of not having a back-up.